Cuddle up to this comfortable piece of patio furniture! The luxurious love seat fits up to three people without worrying about an unsettling environment. A retractable roof covers the seat, shading its plushly padded cushions from the sun. The seat's upholstery lays on top of a modern synthetic rattan material which is both weather resistant and easy to clean. 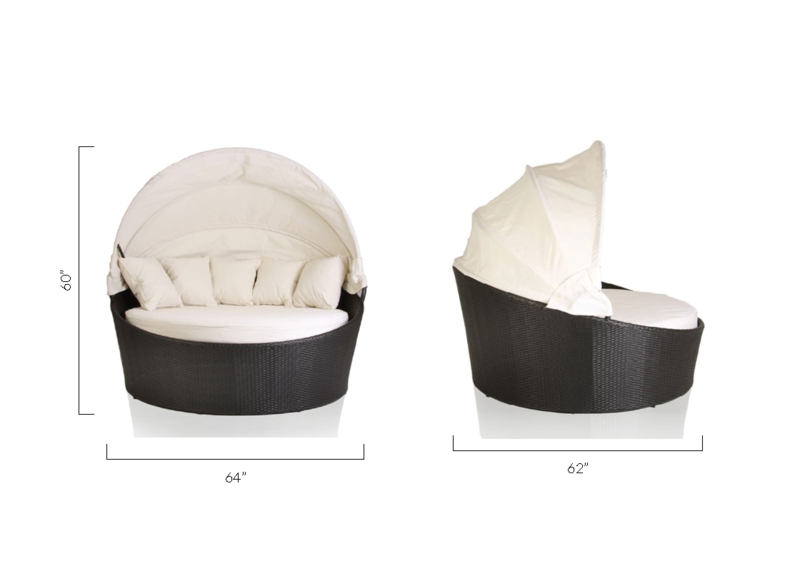 Enjoy Modani's most popular piece of outdoor designer decor. Once you try it, you won't want to go inside again! L:64" * W: 62" * H: 60"